Gain access to the most comprehensive course on Bootstrap and WordPress theme development. You want to check the course out and see what all the rage is about. You love WordPress/Bootstrap and are dedicated to learning the ins and outs. 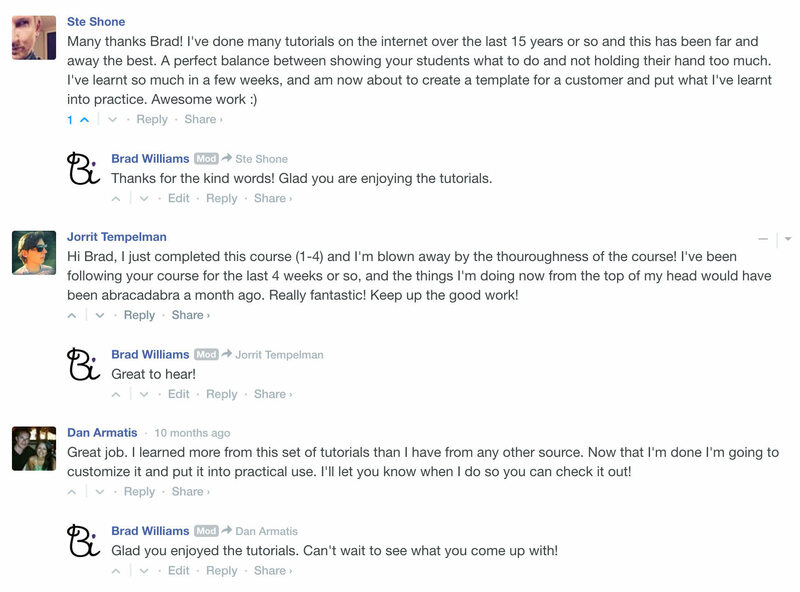 BootstrapWP is the best course online and you will gladly support future tutorials. Members will get access to all the exclusive content and start learning how to creating premium WordPress themes with Bootstrap immediately. Members will have access to all of the premium courses and lessons. This will include all videos and written tutorials to build your WordPress theme. The forum will only be available to paying members. This means you will have access to exclusive discussions, ask questions, team up with other members, and share ideas. If you have any problems please contact us right away! Members of BootstrapWP will have unlimited access to support for any questions or concerns. What are you waiting for? Start learning how to develop premium WordPress themes with Bootstrap now! 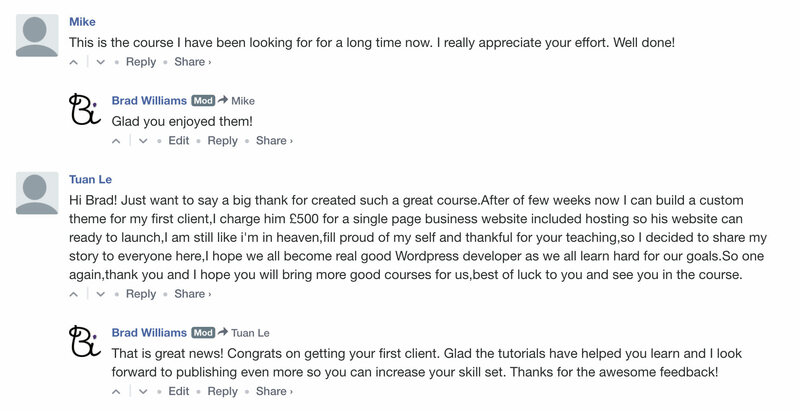 Read what people are saying about BootstrapWP.